Genetic diversity studies using the RAPD technique were carried out in a set of 103 olive cultivars from the World Germplasm Bank of the Centro de Investigación y Formación Agraria (CIFA) "Alameda del Obispo" in Cordoba (Spain). A total of 126 polymorphisms (6.0 polymorphic markers per primer) out of 135 reproducible products (6.4 fragments per primer) were obtained from the 21 primers used. The number of bands per primer ranged from 4 to 11, whereas the number of polymorphic bands ranged from 3 to 10, corresponding to 83% of the amplification products. The dendrogram based on unweighted pair-group cluster analysis using Jaccard's index includes three major groups according to their origin: (1) cultivars from the Eastern and Central Mediterranean areas, (2) some Italian and Spanish cultivars, and (3) cultivars from the Western Mediterranean zone. The pattern of genetic variation among olive cultivars from three different Mediterranean zones (West, Centre and East) was analysed by means of the analysis of molecular variance (AMOVA). Although most of the genetic diversity was attributable to differences of cultivars within Mediterranean zones (96.86%) significant φ-values among zones (φst = 0.031; p < 0.001) suggested the existence of phenotypic differentiation. Furthermore, the AMOVA analysis was used to partition the phenotypic variation of Spain, Italy (Western region), Greece and Turkey (Eastern region) into four categories: among regions, among countries (within regions), within countries, and among and within countries of each region. Most of the genetic diversity was attributable to differences among genotypes within a country. These results are consistent with the predominantly allogamous nature of Olea europaea L. species. 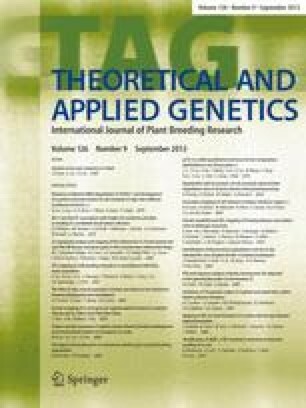 This paper indicates the importance of the study of the amount and distribution of genetic diversity for a better exploration of olive genetic resources and the design of plant breeding programmes.